Majid Al Futtaim—the leading shopping mall, communities, retail and leisure pioneer across the Middle East, Africa and Asia – has achieved the next milestone in City Centre Ajman’s ongoing AED 600 million enhancement project by upgrading the mall’s existing wing with a functional and aesthetically pleasing design to elevate the shopping experience for visitors. Following the successful launch of its vibrant, new modern wing with top global brands and restaurants in December, City Centre Ajman has now opened its remodelled 20-year-old wing for enhanced convenience and accessibility for shoppers. The new design seamlessly connects the existing mall to the new extension, from the Carrefour corridor to the new 900-seater food court. The mall has also expanded its carpark, which now boasts 2,200 spaces and has added more priority parking spots for people of determination. 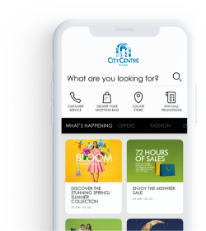 “Customers who have been visiting us for many years will see the transformational change in design made to enhance the shopping experience at City Centre Ajman. We’ve renovated our 20-year-old wing to bring it at par with our new extension, with a modern design and racetrack architecture which allows our shoppers to access their favourite brands with ease. We’ve also added more convenience-based services and expanded our parking facility near the anchor stores,” said Abdulhaid Bukhashem, Senior Mall Manager, City Centre Ajman. layout improves navigation for customers. Stores have been redesigned with open glass shop fronts, lux lighting and higher ceilings to exude comfort. Adding to the convenience, male and female prayer rooms have been enlarged to accommodate 150 men and 100 women, and are strategically located at the south entrance of the mall. Other wide-ranging day-to-day services for customers include nine ATMs that can be found at different corners of the mall. City Centre Ajman continues to expand its diverse retail mix with the launch of new brands, including Samsung, Shoexpress, Mumuso, G2000, Al Jaber Optical, Etam – Paris, Aldo Accessories and Vincci. The mall also brings cuisines from all over the world, such as Kababji Grill, American fast food chain Popeyes and Jelly Belly. Shoppers can look forward to the opening of many more stores later this year, including Nayomi, Athlete’s Co and Pierre Cardin.